There are a number of items you should take into consideration before making your next ski boot purchase. 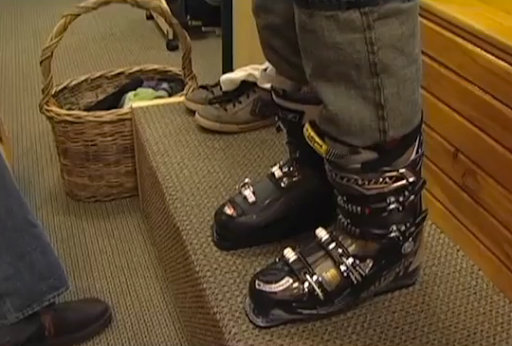 When it came time to purchase new ski boots for an upcoming season, we figured this was a great opportunity to follow us through the boot fitting process and provide you with an inside scoop on what’s involved. Having a bit of technical ski equipment knowledge, we understand the importance of a properly fitted ski boot. We have always been a firm believer that you can be put on some of the worlds worse performing skis, with a properly fitted boot, and you would be happy skiing all day. On the flip side, those $1,500 flashy skis you are on do you no good if you cannot stand to be in your boots, let alone have them actually do what is required of them. Consider this your intro to boot fitting. Working with a reputable shop is as equally important as the fit of the boot itself. This way, should further adjustments be needed, you have built a relationship with a shop that you can go back to and have additional work done as needed. Keep in mind, even after being ‘fitted’, your boots might still require some additional tweaking after you get some hours in them. Q & A session to determine your skier type, what kind of terrain you prefer, and details about your equipment. Tech offers up suggestions for potential boots based off of the above question session. Foot sizing and shell fitment to ensure there is proper room, creating the optimal shell/liner combination for your foot. Liner fitment with or without custom footbeds to determine the initial ‘feel’ of the boot. Q & A session on boot fitment and feel. How do they feel? Are they snug? Any pressure points? Decide on a potential boot model and spend some time (10-15 mins) in this boot inside the shop to get a good feel for them. Purchase the boot that you and your tech have collaboratively decided on. Socks: Only one pair, not two, of a nice, thin ski sock. No work boot or cotton socks here. Boot Fitment & Feel: Boots should feel snug, but not uncomfortable. Toes should touch the front of the boot liner while standing upright and pull away while flexing the boot forward. Address any pressure points with your tech now, rather than realizing them later when you get on the hill. Footbeds are like power steering for your skis. Custom footbeds are molded and shaped to you, supporting the entire foot, giving you more control and stability in your skiing. We recommend discussing footbed options with your tech at the time of boot fitting. Depending on your need and your budget, there are many options out there from semi-custom to full-custom footbeds.